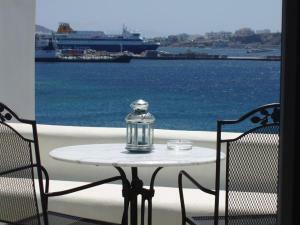 Greta host and fantastic rooms, close to main town, about 1km away or 4 euro taxi. nice view of the sea on a quiet private dirt road. Excellent location. Wonderful view of the port. Georges and his family were lovely hosts. Quiet, private, clean. Walking distance to town, beach close by. Protected from the sometimes strong winds. 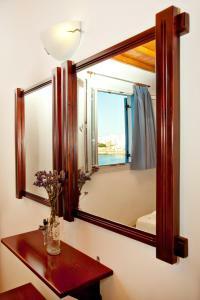 Room was really full equipped, very clean, every day clean towels, amazing view and a wonderful landlady-owner! 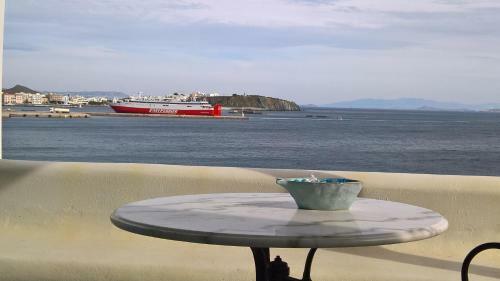 So close to the city, just a breath from the port, very quite and an excellent opportunity to walk any time! 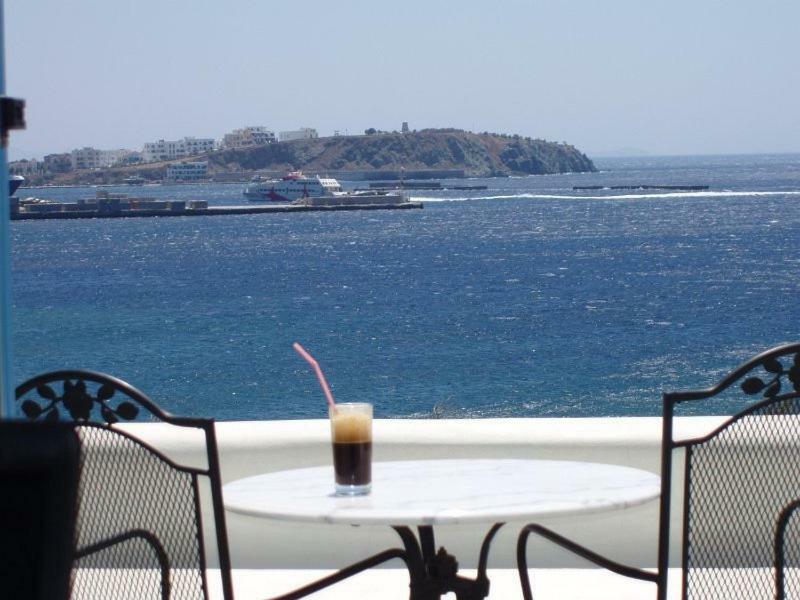 Perfect location.The owner welcomed us very warmly.She told us about the most interesting of the island.The apartment is lovely.The view is incredible.Very clean and beautifully furnished.I recommend for family vacations. Being collected from the ferry, taken by car to the property, then being taken to the supermarket and taken back again. 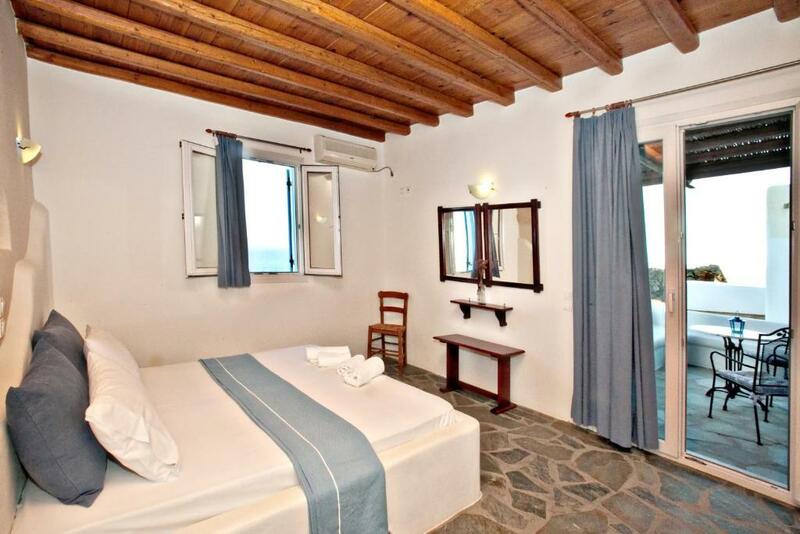 Large room, good kitchenette, big bed, good balcony, large (for Greece!) 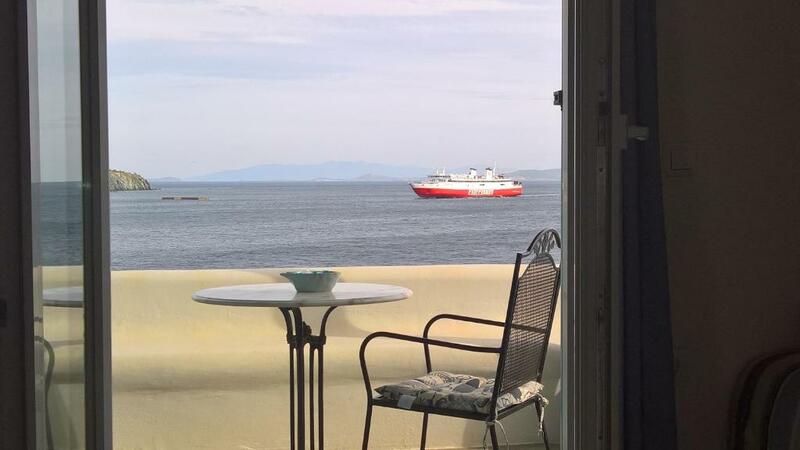 bathroom, quiet location, interesting view of ships entering harbour. We were even picked up at the port and brought to the hotel. And we were offered to be brought back to the port. We loved this property. Mary picked us up from the ferry and drove us to the apartment and also dropped us back. The apartment was perfect in every way and the bed was so comfortable which was a great bonus. Easy assess to town, 10 minute walk. Cleaned each day and towels replaced. Thank you Mary for your wonderful assistance during our stay. Very nice, well appointed and clean. Staff were very helpful. Fantastic views. A little bit out of town, but an easy walk. 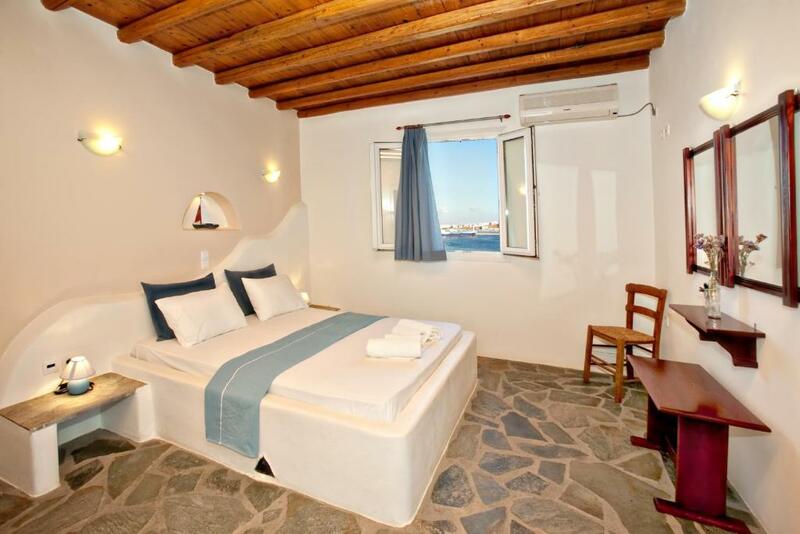 Lock in a great price for Parathyro sto Aigaio 2 - Small Suites – rated 9.5 by recent guests! One of our best sellers in Tinos! 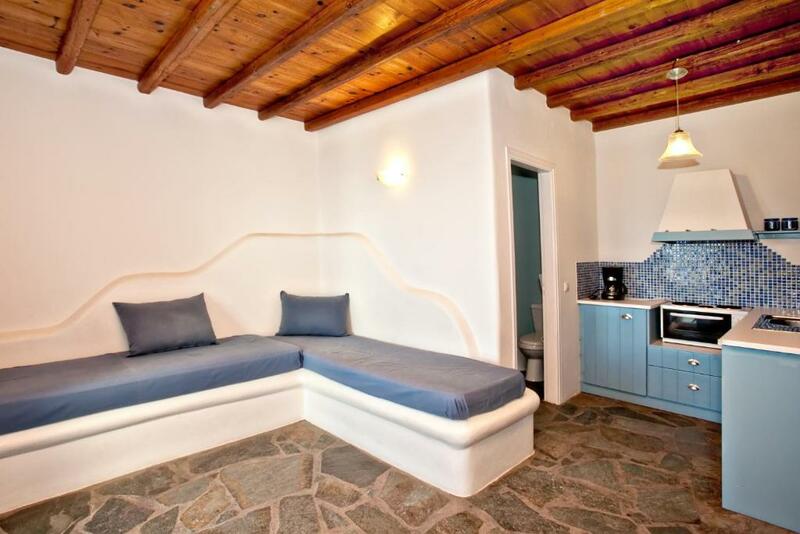 Set in Tínos, Parathyro sto Aigaio 2 - Small Suites offers a garden and sun terrace. Megalochari Church is 0.7 mi from the property. Free WiFi is featured and free private parking is available on site. Some units are air conditioned and include a seating area with a flat screen TV. There is also a kitchenette, fitted with an oven and toaster. A refrigerator and coffee machine are also provided. Towels and bed linen are available. Monument of Elli is 0.8 mi from Parathyro sto Aigaio 2 - Small Suites. Stavros Beach is 650 feet away and the center of Tinos Town lies within 0.6 mi from the property. When would you like to stay at Parathyro sto Aigaio 2 - Small Suites? This apartment has a electric kettle, tea/coffee maker and kitchenware. This apartment features a toaster, stovetop and soundproofing. This apartment features a soundproofing, kitchenette and sofa. 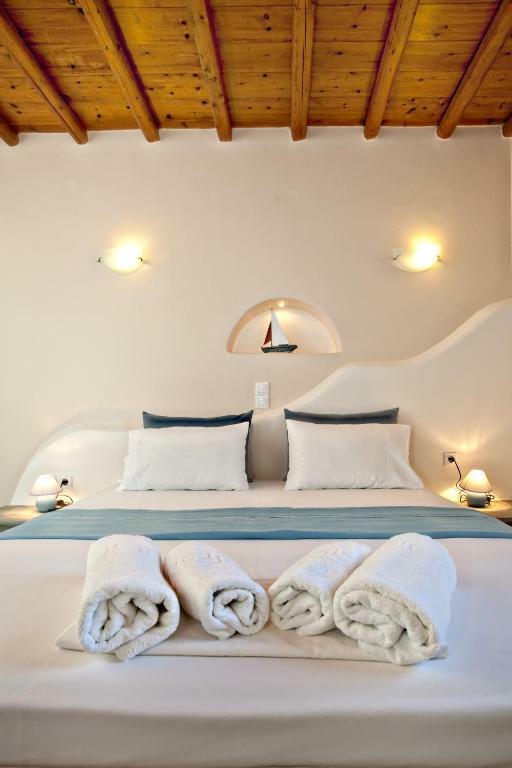 House Rules Parathyro sto Aigaio 2 - Small Suites takes special requests – add in the next step! Parathyro sto Aigaio 2 - Small Suites accepts these cards and reserves the right to temporarily hold an amount prior to arrival. The island in general, when doesn't blow a strong wind, has very high level of humidity, sea breeze helps on this! A microwave oven in the kitchen would have made it more or less perfect! A mile walk in to town, with poor or non-existent side-walks, but good for us for the exercise, so no problem. A hook/fixing on the shower wall for the shower head would make it perfect, and save water and time. A bread knife as well as salt and pepper would have been good. Lovely peaceful apartment with great views. Host meet us at the port and took us to the apartment. Also drove us to the Supermarket for us to purchase supplies. We loved staying at these perfect appartments. We were met at the ferry by the owners grandson who translated information about the appartment from his grandmother. 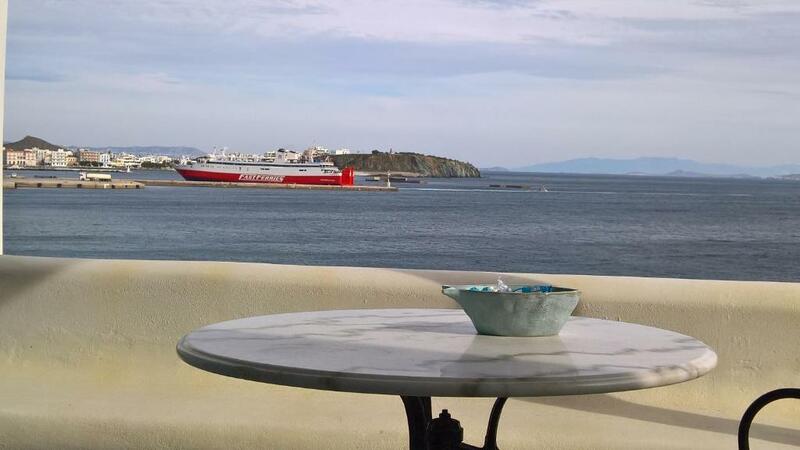 As for the appartment, it was located on a headland overlooking the bay and the town. It was so peaceful and the decoration was beautiful. We spent several nights sitting on the balcony drinking wine and looking at the view. The walk into town was not far and was good for walking off our meals! If you are looking for a place to stay on Tinos try this you won`t be dissapointed.